Biologic drugs targeting immune system activity that are commonly used to treat psoriasis can help reduce heart attacks and stoke, researchers claim. Published in Cardiovascular Research and funded by the National Heart, Lung, and Blood Institute (NHLBI), the research highlights how immunotherapies that treat inflammatory conditions might play a role in the reduction of cardiovascular disease risks. “Classically a heart attack is caused by one of five risk factors: diabetes, hypertension, high cholesterol, family history, or smoking,” said Nehal N. Mehta, head of the Lab of Inflammation and Cardiometabolic Diseases at NHLBI. Psoriasis, a common skin disease affecting 3-5% of the U.S. population, is associated with heightened systemic inflammation, which elevates risk of blood vessel disease and diabetes. Inflammation occurs when the body’s defensive mechanism kicks in to ward off infection or disease, but this mechanism can turn against itself when triggered, for instance, by excess low-density lipoproteins (LDLs) that seep into the lining of the arteries. The resulting inflammatory response can cause blood clots, which block arteries and can lead to heart attack and stroke. Inflammation puts 20-30% of the US population at risk for these kinds of events. People with inflammatory diseases such as rheumatoid arthritis, systemic lupus erythematosus, and psoriasis have a much higher rate of cardiovascular events. The current findings came from an observational study of the NIH Psoriasis Atherosclerosis Cardiometabolic Initiative cohort, which had 290 psoriasis patients, 121 of whom suffered moderate to severe skin disease and qualified for the biologic therapy approved by the US Food and Drug Administration. 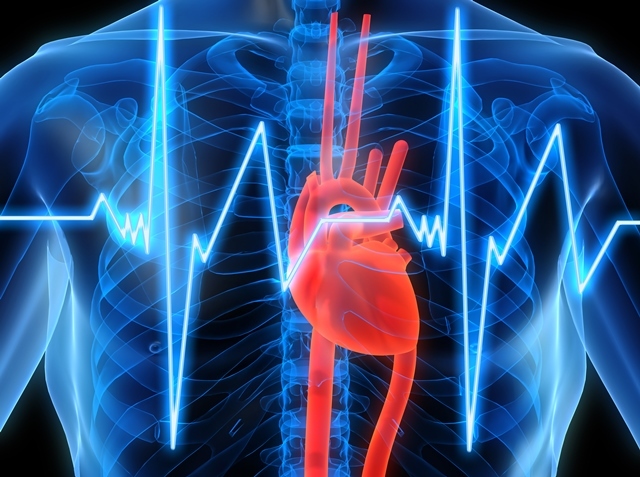 For a year, researchers followed the eligible patients, all of whom had low cardiovascular risk, and compared them to those who elected not to receive biologic therapy. Study results show that biologic therapy was associated with an 8% reduction in coronary artery plaque.